Nothing But Reading Challenges: Mod Picks! Every month our Mods will share with you one book that they loved. 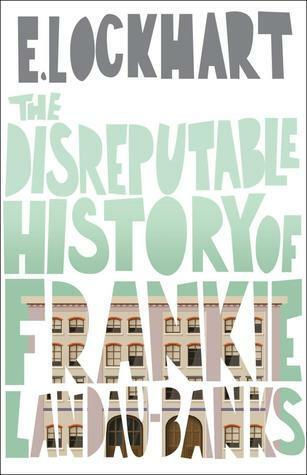 Today, Karen's pick for last month is The Disreputable History of Frankie Landau-Banks by E.Lockhart. Why it is a Mod Pick: You may remember E.Lockhart from We Were Liars and she is quickly making a name as a unique voice in the YA market which is so often saturated with dystopia and love triangles. Along with a great title, this book has wonderful characters making their way through their second year of high school. Lockhart's writing is so interesting. She is able to construct and examine relationships in unique ways ; often highlighting the often unsaid or taboo nuances of social interactions.